This satellite image from PAGASA shows Tropical Depression Basyang hovering over Mindanao. 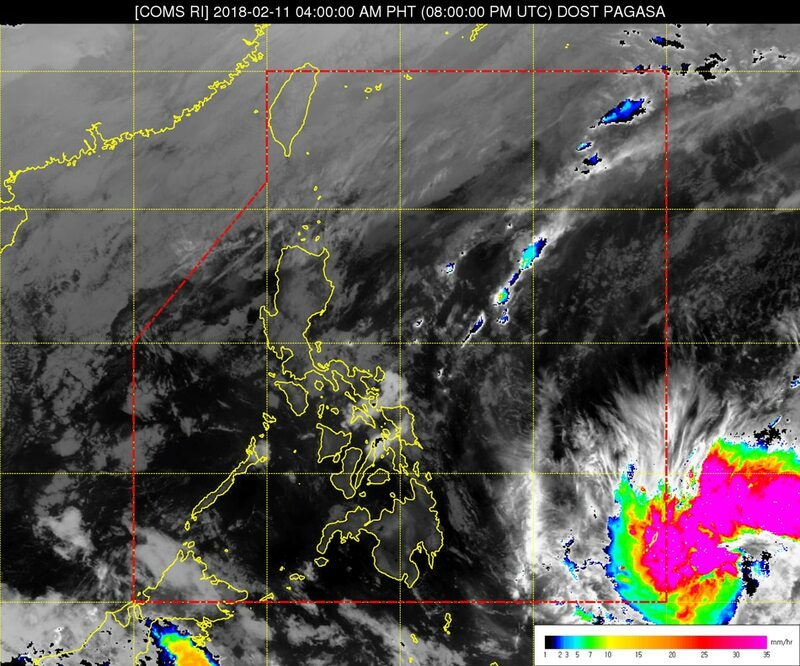 MANILA (UPDATE) - Tropical storm Basyang (international name: Sanba) weakened after it slammed into Cortes town in Surigao del Sur province on Tuesday, the state weather bureau said. Despite being downgraded into a tropical depression, Basyang will continue dumping moderate to heavy rains over Palawan and the Visayas, PAGASA said. Light to moderate rains are expected over Bicol, Mindanao, and the rest of MIMAROPA, it said. At 1 p.m., the eye of the storm was located 60 km south of Maasin City, Southern Leyte, packing maximum sustained winds of 55 kph near the center and 80 kph gusts. Basyang is expected to leave the Philippine area of responsibility on Friday, PAGASA said. Back-to-back storms Urduja (Kai-tak) and Vinta (Tembin) ravaged the Mindanao and the Visayas before Christmas last year, leaving some 200 people killed.